• PLOT SUMMARY: "Wrath of the First Lantern" Part 2 - 'WRATH OF THE FIRST LANTERN' continues! It's the Green Lanterns vs. the Guardians of Oa and the Third Army-but which side will the First Lantern take? (W) Peter J. Tomasi (A) Fernando Pasarin, Scott Hanna. 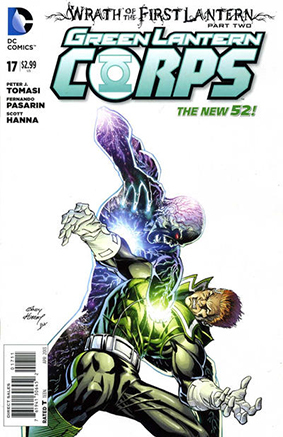 Cover by Andy Kubert.